Today we’re talking about my favorite books on social security. If you’re serious about your retirement plan, you need to understand how this program works. 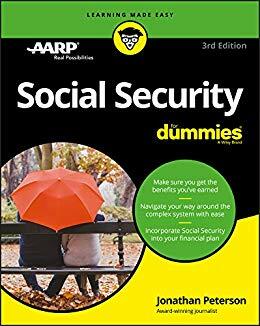 After reviewing dozens of books that cover the topic, I’m going to tell you which 5 social security books will get your knowledge level up to the point where you can feel confident. You know what I’ve never found? Someone who said their social security wasn’t important to them. In the 16 years I’ve spent as a financial planner, I’ve advised clients who were very wealthy down to the clients who were of much more modest means. All of them have been very concerned that they maximize their income stream. If you look at the data you can see why. When you look at both married and unmarried retirees, 62% rely on SS for HALF of their income. This is a program that needs to be understood. Thankfully, there are some fantastic books out there that break this down and make it easier to understand. 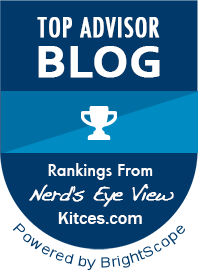 Today I want to tell you what my top 5 books on social security are. First, I’ll start with two that are great at giving you the fundamentals. These two books will help you build a foundation for the slightly heavier reading to follow. The good part is they are both around 100 pages so you can read these quickly and then read them again to really lay the foundation. 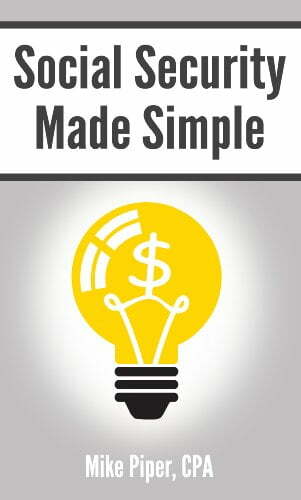 The first book is Mike Piper’s Social Security Made Simple. It’s a short read but it hits the surface of a lot of topics within social security. He breaks this book down into three parts. Part one is about 27 pages and speaks in clear and concise terms about how benefits are calculated and how you qualify for them. Part two is about the same length and turns up the dial with rules for less common situations. He talks about Social Security for divorced spouses, childrens benefits, the earnings limit and even the windfall elimination provision and the government pension offset for those who worked at a job where they did not pay into SS. My personal favorite is part three. This is where he gets into the “when to file” question. He talks about how a single person should approach this decision. How married couples should coordinate benefits and then in chapter 13 he addresses taking social security early to invest it. Good stuff! The second book on my list is my book. I know…that’s somewhat self serving. But I included that because I do think its one of the best books out there that covers the fundamentals. If you read my book and Mike’s book, you’ll have a deep understand of the basics (and probably be smarter than many financial advisors.) I don’t try to get fancy in this book. I simply wanted to take the most relevant parts and put them in a book that was easy to understand. 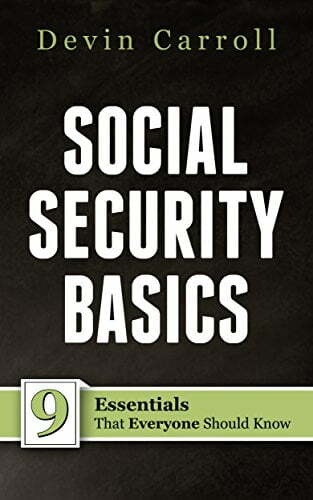 I’ve found over the years that most of the SS questions I receive could be answered with a good knowledge of the 9 social security basics and that’s what this book covers. 3. 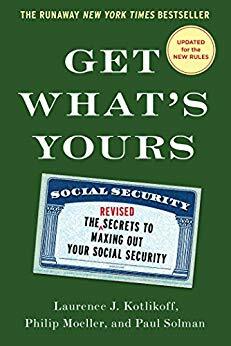 Get Whats Yours – The Secret To Maxing Out Your Social Security by by Laurence J. Kotlikoff, Philip Moeller, and Paul Solman. With book number three we start to get a little deeper. Its Get Whats Yours-the secret to maxing out your social security. This is the only SS book that I know of that has made it on to the New York Times Bestsellers lists. This book was written by three authors—all social security experts in their own right. This is the perfect book to read after you’ve read the first two on my list. The book is conversational, but the subject matter is dense. In my opinion, chapters 16 & 17 make this book worth it. This is where they cover the 50 Good News Secrets to Higher Lifetime Benefits and 50 Bad-news Gatchas that can reduce your benefits forever. There could easily be ONE THING you read in these two chapters that will make the book purchase worth it. What I like best about the Dummies series is that they take topics that are hard to understand and turn it into something that is easy to use. In my opinion, the best part of this book is Part 5. 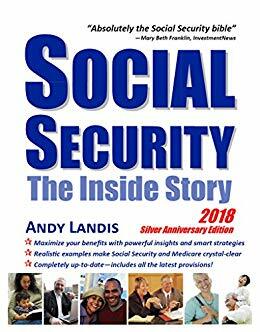 While the entire book is full of useful knowledge, Chapter 15, which is the beginning of Part 5, covers the myths of social security and replaces them with facts. Chapter 16 refers to why young people should have a big stake in social security, and should follow the policy changes that are coming up in the next few years. Chapter 17 finishes it up by talking about the realities of the future of social security. This book is detailed and comprehensive but is easy to read. I absolutely love this book. The author actually worked for the social security administration for over a decade and it shows almost as soon as you open the book. It has examples, graphics and website links to back up what the author is saying, and gives you confidence that you are on the right path. I personally use this book as a personal reference. I also believe it does not need to be read all at once, but can be used as a topical reference to answer your questions as they come up. Whether you are a retiree, a to-be retiree or a financial advisor, this book needs to be on your shelf. I’ll have to admit…narrowing down this list to my top 5 wasn’t easy. There are some other great books out there. One last thing…I’ve linked up all of the books we’ve discussed here. Full disclosure…if you buy one of these by using my link above, I’ll get paid a small fee from Amazon. Remember…THIS IS YOUR RETIREMENT. CONTINUE TO LEARN AND STAY INFORMED because no one is going to feel the pain of retirement planning mistakes like you will. In addition to the books I’ve recommended here, what social security books should be added to our list? Leave the book title and your thoughts in the comments below.